To make it more user friendly we should add idle to the application menu. We don't want open idle from the command line every time. So lets is how it is done. 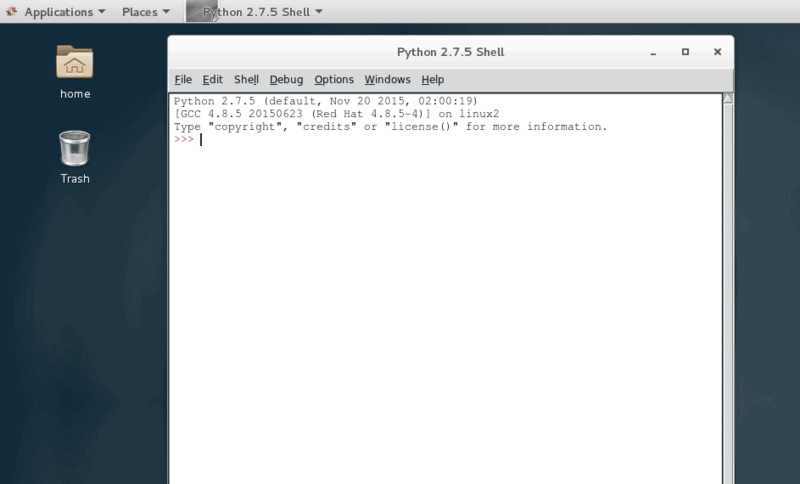 First download the python idle icon using wget command. Then create a file called pythonidle.desktop inside the /usr/share/applications/ directory. Then Add the following entries to the pythonidle.desktop file. Now you can open IDLE editor from the Application menu under the Programming sub menu.